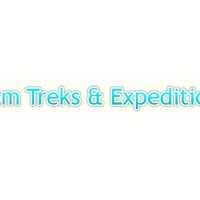 Home » Jomsom Trek & Expedition Pvt. Ltd.
JOMSOM TREKS & Expedition is reputable trekking agency in Nepal. They are leading trekking with skill main power since 1998. It has trained insured, licensed Trekking guides and skilled porters. Jomsom treks will be the fully responsible for the trekking about their staffs. All the guides and porters are train by Nepal Government, ACAP (Annapurna Conservation Area Project), KEEP (Kathmandu Environmental Education Project) so, they have a wealth of knowledge about the geography, cultures, flora and fauna, high altitude sickness, where to stay? Where to not? All their staffs are very friendly, honest, helpful and hard working. They have a good knowledge about the side trip trekking show which not mentions even guide book. You can get the effective management and more hospitality during your trekking holiday. They are confident, If you utilize them you will get the fully satisfaction and your trekking holiday in Nepal will be unforgettable in your life. They are surviving from your recommendation. So, their motto is your satisfaction. Your satisfaction is their guarantee.